ADOPTS the rules of procedure for CITES dialogue meetings in the Annex to the present Resolution. 1. Each Party that is a range State of an extant population of the species (or group of species) to be discussed shall be entitled to be represented at a dialogue meeting by a representative and an alternate representative, who shall be government officials designated to attend by the Management Authority of the Party that they represent. 2. Other Parties and organizations (including donors) may be represented by observers only if their attendance is approved by a consensus of the representatives of the range States. 3. The CITES Secretariat shall participate in dialogue meetings in order to advise the Parties and to serve as Secretary and organizer of the meeting. 4. The Secretariat shall be responsible for inviting the range States to send representatives to a dialogue meeting. 5. Following the recommendations of the range States, the Secretariat may invite intergovernmental organizations and other technical experts to attend a meeting as resource persons. 6. 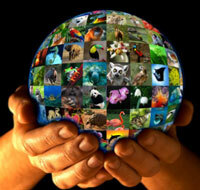 CITES dialogue meetings are convened and organized by the CITES Secretariat on behalf of the Parties. At least two-thirds of the representatives of the range States of the species shall constitute a quorum. 7. When the Conference of the Parties or the Standing Committee has instructed the Secretariat to organize a dialogue meeting, it shall seek a host country for the meeting from among the range States and, if there is more than one offer, select a host country in consultation with the Chairman of the Standing Committee and, where applicable, the relevant regional representatives in the Committee. The host country is usually expected to cover the cost of rental of the meeting rooms and refreshments for the participants and to work with the Secretariat in the organization of the meeting. 8. If funds have not been allocated in the Trust Fund budget, the Secretariat shall seek sufficient funds to cover the attendance of at least one representative of each Party range State of the species concerned coming from developing countries or countries with economies in transition. 9. Dialogue meetings should, as far as possible, take place well in advance of meetings of the Conference of the Parties so that the outcomes may be used by the Parties when considering their positions in preparation for such meetings. However, sometimes, for reasons of financial constraints, it is necessary to hold a dialogue meeting immediately before a meeting of the Conference of the Parties. In such cases, the Host Country of the meeting of the Conference is not expected to serve as the host for the dialogue meeting. 10. The provisional agenda for each dialogue meeting should be prepared at least 60 days in advance by the Chairman of the Standing Committee with the assistance of the Secretariat, following consultation with the range States of the species concerned. The Secretariat is responsible for distributing the provisional agenda to all range States at least 45 days before the meeting. 11. The Chairman of the Standing Committee shall serve as the Chairman of each CITES dialogue meeting. If he/she is unable to serve, he/she should appoint the Vice-Chairman or Alternate Vice-Chairman of the Standing Committee to serve in his/her place or identify a Chairman who is acceptable to the range States. 12. Two Vice-Chairmen for each meeting shall be elected from among the participants. 13. All decisions of dialogue meetings shall be made by the representatives of the range States. In the absence of a representative, the alternate representative shall for all purposes serve in his/her place. 14. Decisions shall as far as possible be made by consensus. Where this is not possible, this should be indicated in the final communiqué of the meeting, which may indicate majority and minority views. 15. No record shall be kept of the discussions that take place at dialogue meetings and they shall be considered as confidential. Consequently, participants shall not communicate with the media or with organizations that are not participating, or have not participated, in a dialogue meeting concerning the statements made by other participants. 16. A communiqué from each meeting shall be drafted by the Secretary in consultation with the Chairman and Vice-Chairmen, and shall be presented to the representatives of the range States for agreement. Such communiqué, if agreed, shall serve as the official record of the outcome of the meeting, and shall be made available in the three working languages of the Convention. Communiqués shall be formally presented at the following meeting of the Conference of the Parties. 17. In matters not covered by the present Rules, the Rules of Procedure of the Standing Committee that are currently in effect shall apply as far as practicable.